The crowd was on its feet, some cheering "Cheney for president!" The boos from CPAC's libertarian contigent continued and at times interrupted Cheney's remarks. As he accepted his award, Rumsfeld articulated the neoconservative position that has angered libertarians as the United States continues to spend hundreds of billions a year on the wars in Iraq and Afghanistan. 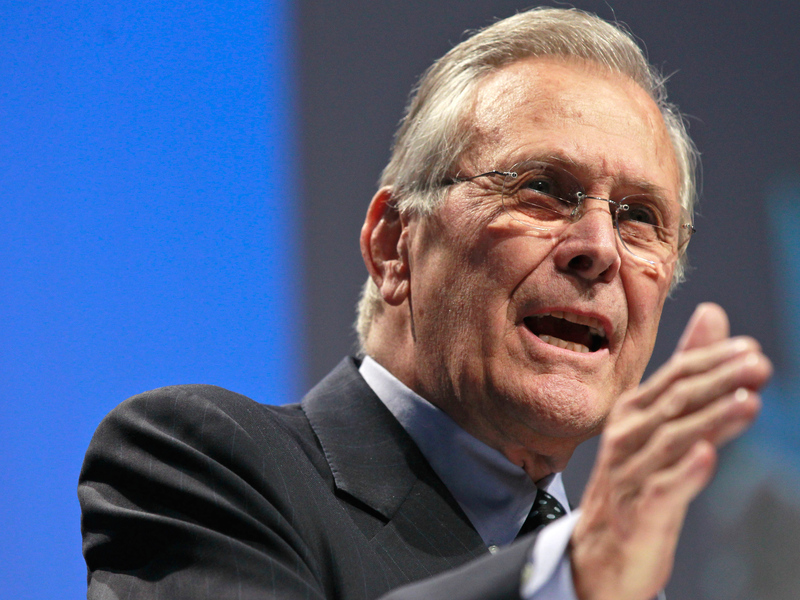 "Isolationism is a luxry America and the world cannot afford," Rumsfeld said to applause. "Radical Islamists are not cutting back from their recruiting [or other investments]... Neither can we."